Old Hollywood Movie Reviews: Musicals, Westerns, Comedies, Dramas, Mysteries - all the classic movies that make the Golden Age of Hollywood magical! Ready for an understatement? I watch a lot of old movies. A. LOT. OF. OLD. MOVIES. 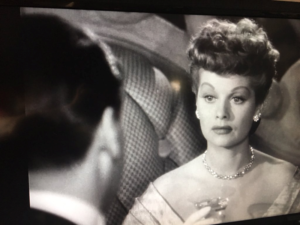 Like most fans of the Golden Age of Hollywood, I watch and re-watch the classic favorites (Gilda, It’s a Wonderful Life, Christmas in Connecticut, The Stooge, Abbott and Costello Meet the Mummy…. what do you mean it’s not a classic… watch your mouth!… etc….). I also have a great affection for jumping into movies no one really ever talks about. 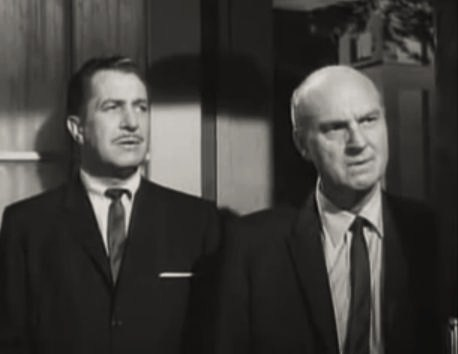 “Random” movies like the one I’m telling you about today – Sanctuary from 1961. 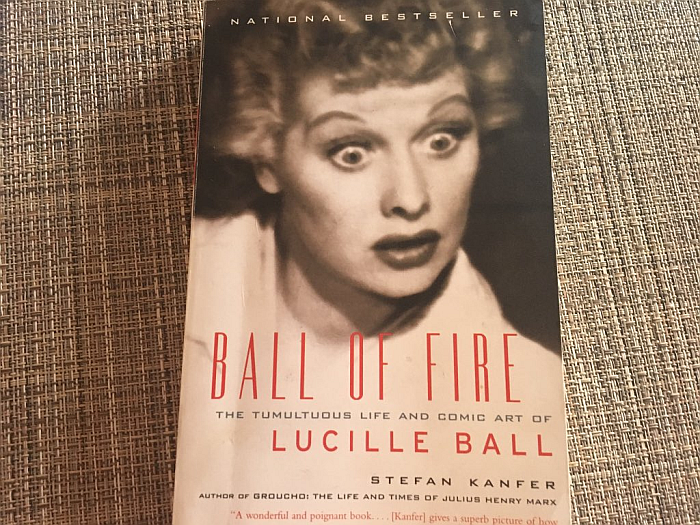 Most of the time, I’ll select a random movie based upon a favorite actress or actor starring in the movie (such was the case for Lured, for example.. George Sanders and Lucille Ball are both favorites, so that was an easy pick). A few times, however, either the plot or the fact that I know absolutely nothing about the cast will inspire the selection. This was the case with Sanctuary. Sure, I was familiar with Lee Remick from television but couldn’t recall ever seeing one of her movies. As for her co-stars, not a one of them rang a bell. It was intriguing enough to make me grab a tall glass of iced tea and settle in. While I did enjoy the movie and while I was blown completely away by Lee Remick and Odetta (more about their performances in a minute), make no mistake about it – this is a disturbing movie. There is one “scene” where Lee Remick’s character “Temple” is presumably sexually attacked by a man nicknamed “the Candy Man.” The scene goes black before you actually see anything other than her horrified expression. That’s disturbing enough, of course… but then Temple falls in love with The Candy Man. In fact, when relaying the story to another character, she basically claims that she was never forced into anything. Add this to the murder of a child AND the way race was dealt with in what seems like prehistoric times in some movies and you have a disturbing movie. You knew there’d be a however, right? Lee Remick’s breathtaking and complex performance as Temple causes you to make sense of where she’s coming from. She’s young with emotions and hormones that are wired for trouble. The job this lovely, innocent-looking actress does with this character is phenomenal. Before I go on raving about her more, just let me remind you that I’ve seen countless movies and even more actor and actress performances in my life. I’m in no way new to movies or the fascinating world of acting. After watching Sanctuary, I will never be able to talk about an actor or actress giving the performance of a lifetime without mentioning Lee Remick and her multi-layered Temple. She glides from innocent little rich girl to unpredictable hellcat as easily as a professional ice skater glides across the ice. 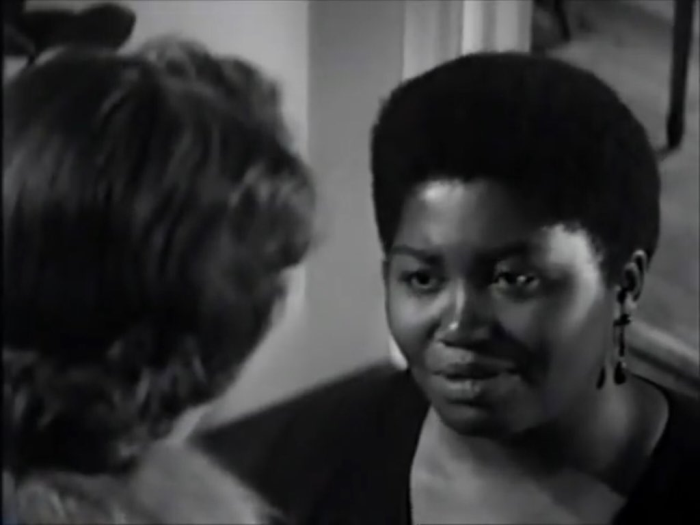 Another outstanding performance in this movie was turned in by beautiful Odetta. I wasn’t familiar with Odetta before. 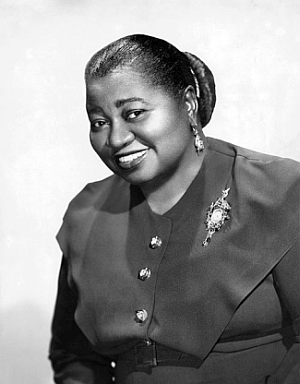 This talented lady was a songwriter, guitarist, actress, and legendary black folksinger. She was actually trained in opera singing as a teenager. 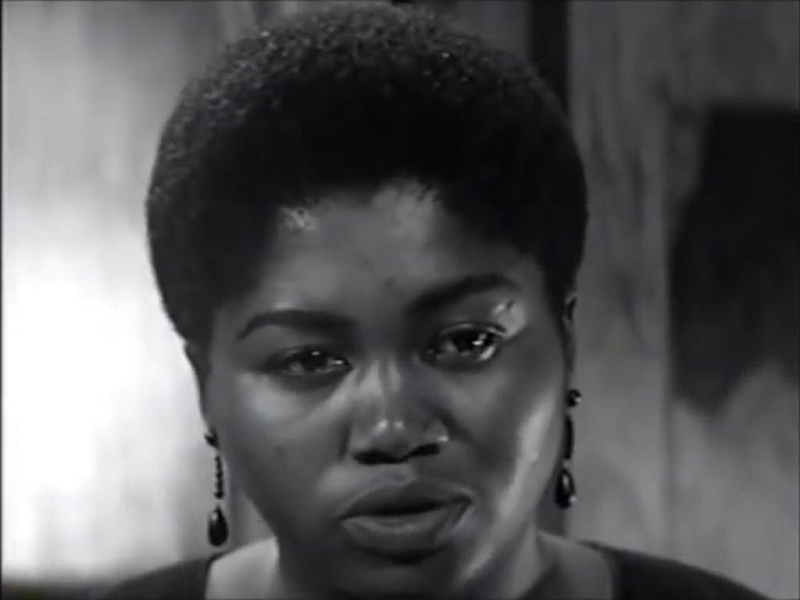 I’m currently looking for movies Odetta starred in and am VERY anxious to hear her sing. 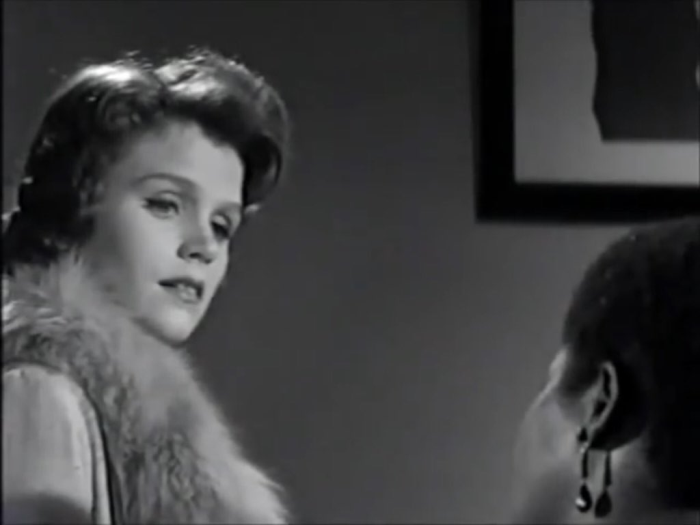 Her performance in Sanctuary would have completely stole the movie, if not for Lee Remick’s outstanding work as Temple. 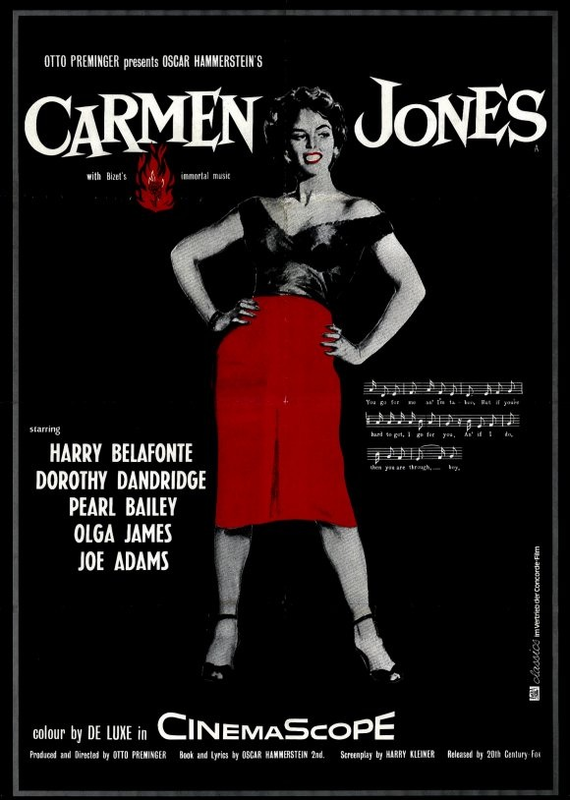 The movie also stars Yves Montand, Bradford Dillman, Howard St. John, and Harry Townes, but make NO mistake about it, it’s the two ladies who carry this movie. 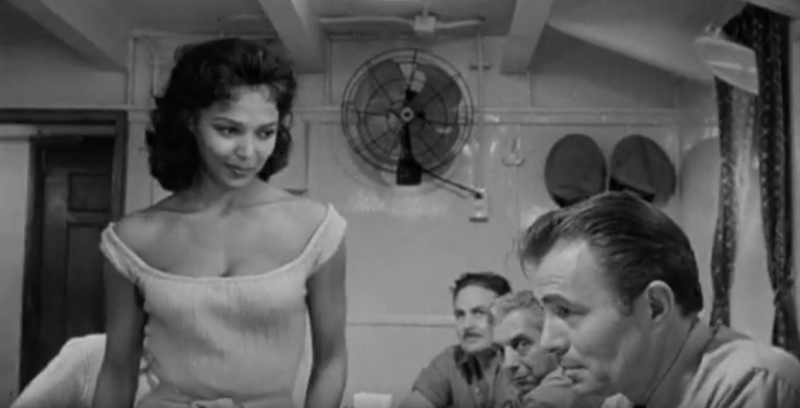 Sanctuary is, honestly, worth watching for Lee Remick and Odetta, alone. Sanctuary, based on the William Faulkner novel of the same name, takes place in the South in the 1920s. The governor’s pampered and adored daughter (Temple) makes a shocking confession to the governor in hopes of keeping a household servant (Nancy) from execution for the murder of Temple’s child and the governor’s grandchild. Disturbing? Make no mistake about it. Worth watching? Again… make no mistake about it. These are two outstanding performances and, if you love movies, you don’t want to miss them. Before getting to the review of The Haunted Castle, let me say (right up front) that this isn’t a horror movie like you’re probably used to. I’m not sure I’d even classify it as “scary,” although the eye makeup and a couple of scenes come about as close as most Silents are going to come. It is a really good movie, however, and very much worth taking the small amount of time it’d take to watch it. Oddly enough… even though I’ve been completely obsessed with the Golden Age of Hollywood since I was a pre-teen… I am very new to the world of Silent movies. Confession time – this is only the fourth silent movie I’ve ever watched and the first was just three weeks ago. 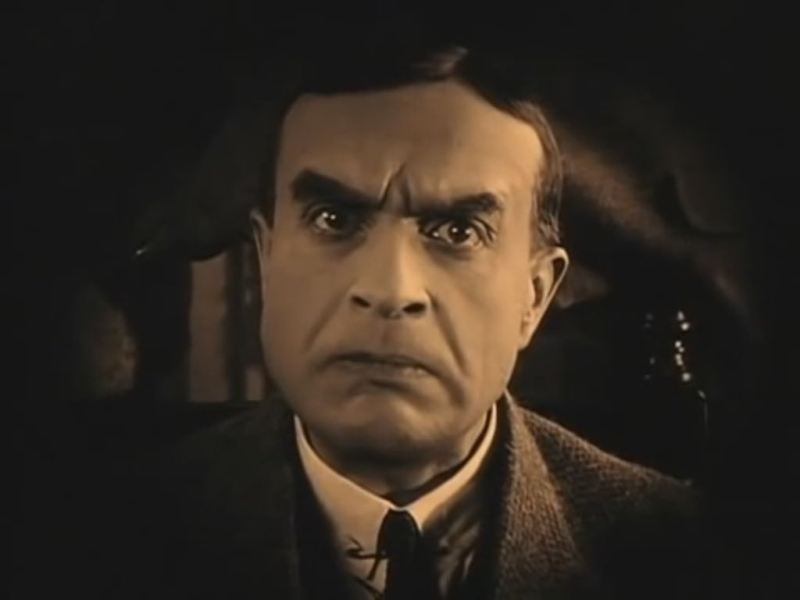 I honestly never thought I’d enjoy a silent movie and yet, here I am, rounding them up on YouTube like I round up groceries at Kroger. I’m smitten and I’m hooked. I mean, I’ve watched four within a month, that’ll tell you something! 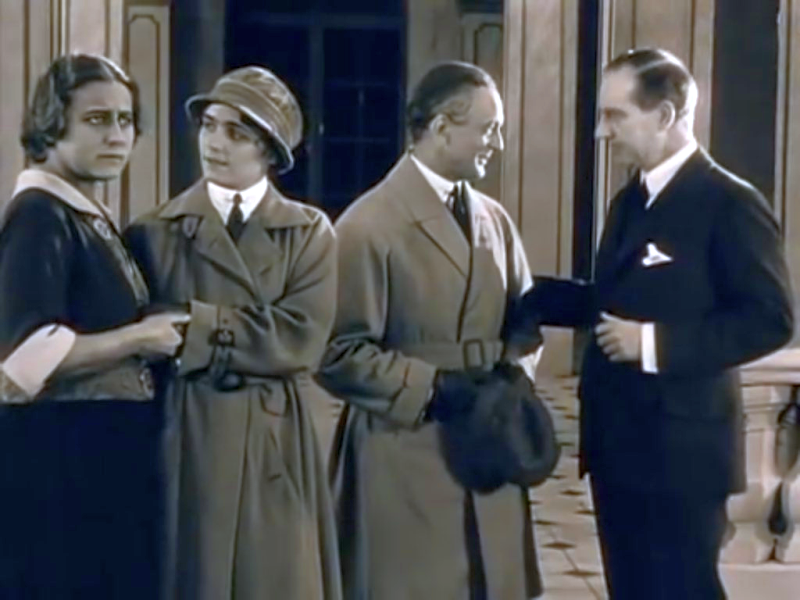 The reviews for the others will be coming soon – I’m adding a silent movie category under Old Movie Reviews because they’ve become very important to me. For one thing, they are an art form all in and of themselves. All acting and conveying of emotions must be done with facial and body movement. That takes a great deal of talent! They’re also completely relaxing, in some way. 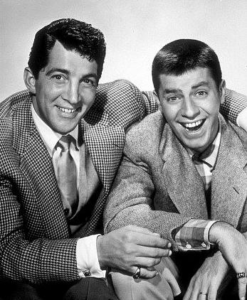 Maybe it’s the music that accompanies them – that, combined with the wonderful step back in time (way back!). As someone who frequently has family members (including a precious 10 month old grand baby I have the blessing of watching most days of the week) and cats around them, I find that it’s easier to watch a Silent on my iPad or iPhone than to try to follow a talkie. I mean, have you ever tried to hear over a husband or 10 month old? How did I not become hooked on Silents years ago?! 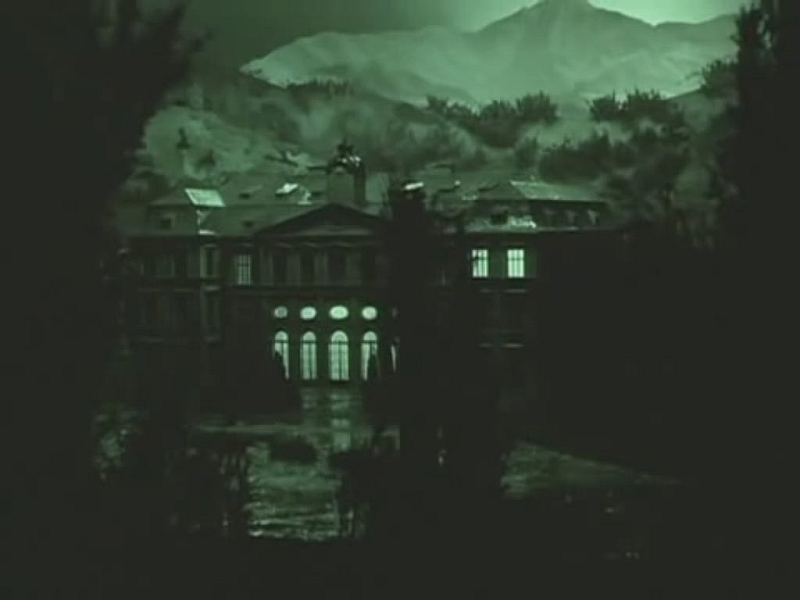 The Haunted Castle was made in 1921 and… get this… was shot in 16 days. The movie takes place in a castle, Vogeloed, which is (of course) the haunted castle the movie refers to. Again, be warned, if you’re looking for a movie that’ll scare your socks off, this isn’t the one. Your socks will never even know you watched a movie. The scariest parts of this movie are the outside shots of the castle and one guest’s really weird dream. Plot: A group of aristocrats and other people of importance are gathered in Vogeloed. They are awaiting the arrival of baroness Safferstätt and her second husband. However, Count Oetsch (brilliantly played by Lothar Mehnert) invites himself to the gathering. Count Oetsch is the brother of baroness Safferstätt’s first husband and is suspected by nearly everyone of having murdered him! Count Oetsch maintains his innocence and vows to find the real killer. Realizing things could get awkward fast, the host and hostess attempt to convince Count Oetsch to leave but he refuses to budge. It’s a darn good thing, too, because Lothar Mehnert is, unquestionably the star of the movie. He’s just wonderful. It hasn’t taken me long to discover that in Silents, there are two types of actors/actresses: those who GO BIG, often larger than called for (more about her in a minute!) and those who reign it in, allowing themselves to become woven into the story. In all fairness, I’d imagine that the second group would be infinitely harder to do. 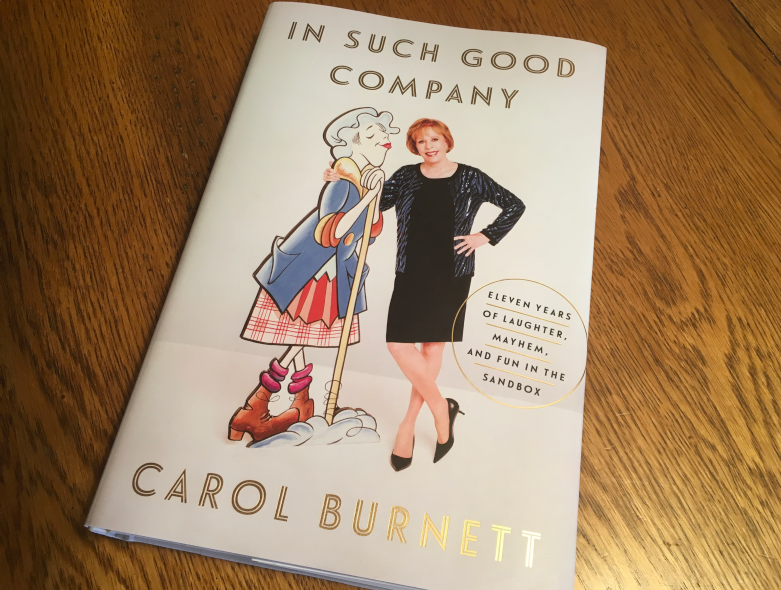 It’d be easier to simply go full Susan Lucci and see what happens from there – but it’s much, much more enjoyable to watch the stars who allow the story to be the star. 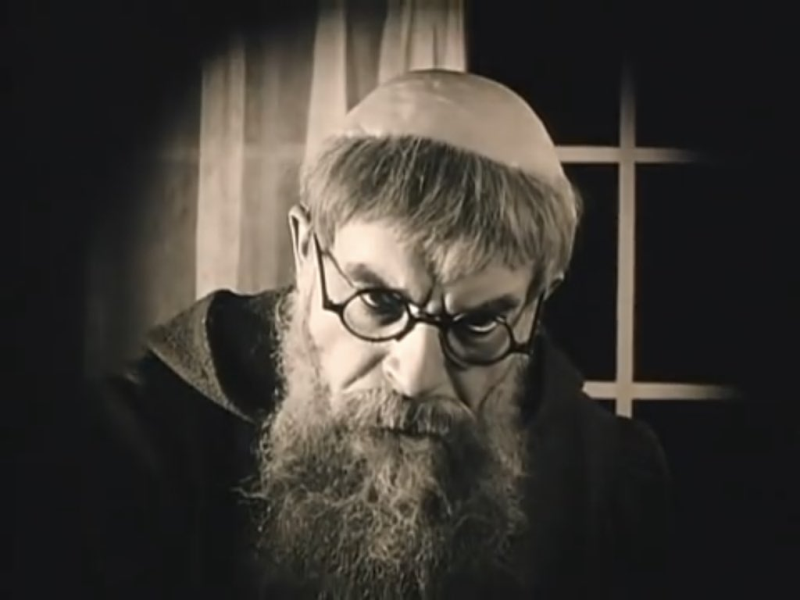 Lothar Mehnert did as fine a job of that as I’ve seen (in silents or talkies). Remember the bit about going full Susan Lucci? Well, this is a good time to introduce you to Olga Tschechowa. You know what, on second thought, the saying may need to be changed to going full Olga Tschechowa because Mrs. Lucci has nothing on her. Ever watched a movie with a character you detested so much you kind of wish someone would throw them out of a window. Like, from the third flour? Seventh, if you’ve got it? That was her character. 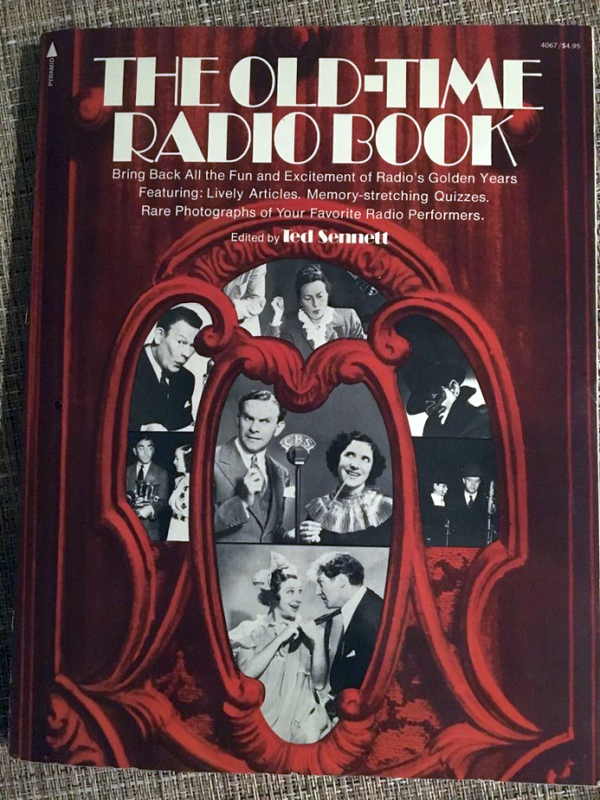 See the picture at the top where Lulu Kyser-Korff’s character is draped all over her? I literally said, “Good! You’ve got her! Now take her out.” But, alas her character adored the baroness like I adore my daughters and didn’t do me the favor. 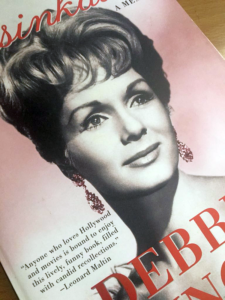 Was it the character, herself, I hated with unbridled hatred or the portrayal by the actress? Both. Absolutely both. Now, I understand, this was the twenties and I understand that we’re dealing with a silent movie here. Emotions had to be conveyed through facial expressions and body movement… but, hot dang, this woman was hysterical without meaning to be. Having said that… it’s still a darn entertaining movie. I don’t know, maybe her theatrics added to the amusement. In the end, though, it was simply a good script and the performance by Lothar Mehnert and the rest of the cast that pulled it off. The scenery is also stunning – I actually stopped and rewound about 10 times to “take in” the furniture, clothing, decor, etc. When I watch a movie and/or come across new stars, I read everything I can get my hands on about them. I am having a horrible time finding out much about this cast…. except for Miss Olga. Olga (also listed as Olga Chekhova) was apparently one of the most popular stars of the silent film era. 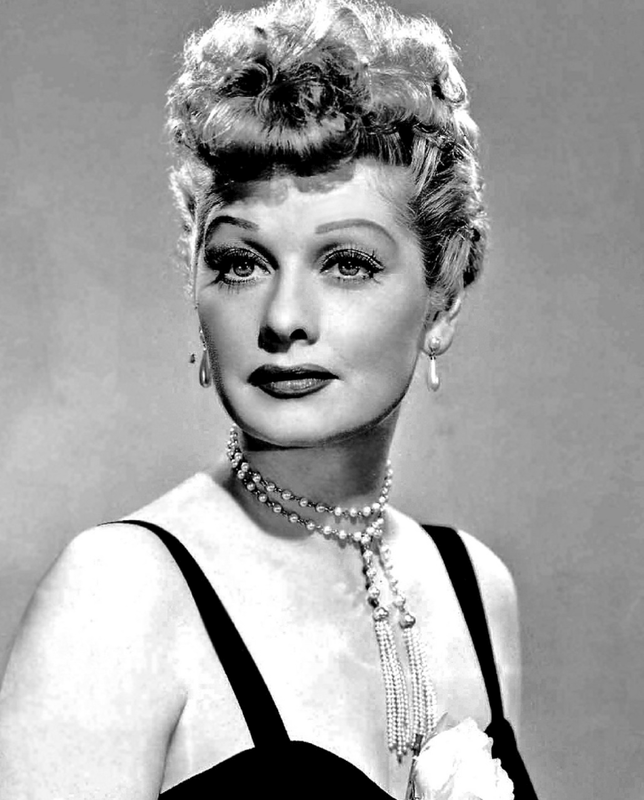 Maybe she was less… ummm… over the top in other roles. She was born in what is today Armenia. She had a wonderful film career in Europe and even had her own film production company, Venus-Film Olga Tschechowa. Incredibly impressive for a female at that time! Adolf Hitler reportedly fell for Olga after seeing her in several films in the 1920s…. not as impressive, but there you have it. 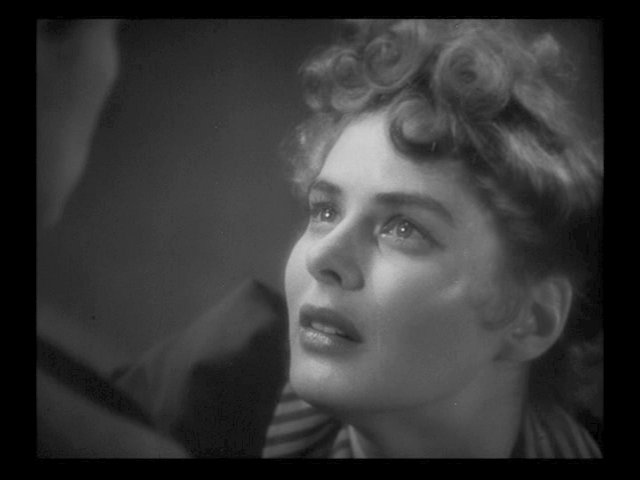 Olga Tschechowa was, indeed, a lovely actress. The makeup they had on her in this particular film (for most of the movie) forbid it to shine through. The makeup was so morbid, in fact, at the first of the movie I thought both female leads were being played my males – kind of like old Shakespearean plays. The picture below kind of gives you an idea of why my brain took that route. 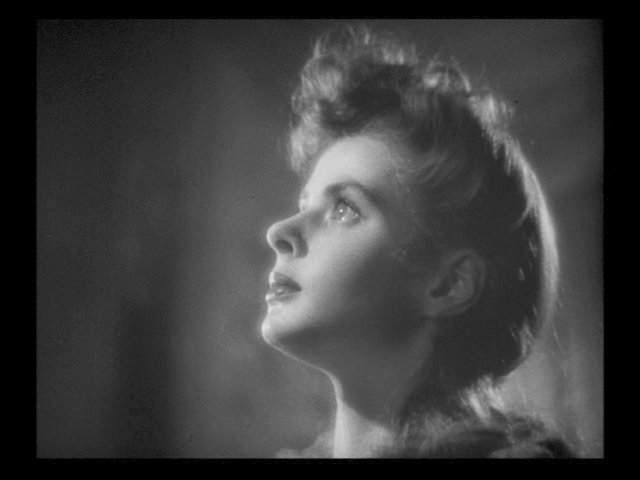 You can watch The Haunted Castle below, in its entirety. I do highly recommend it – it’s just a really fun-to-watch and cool-to-say-you-watched movie. 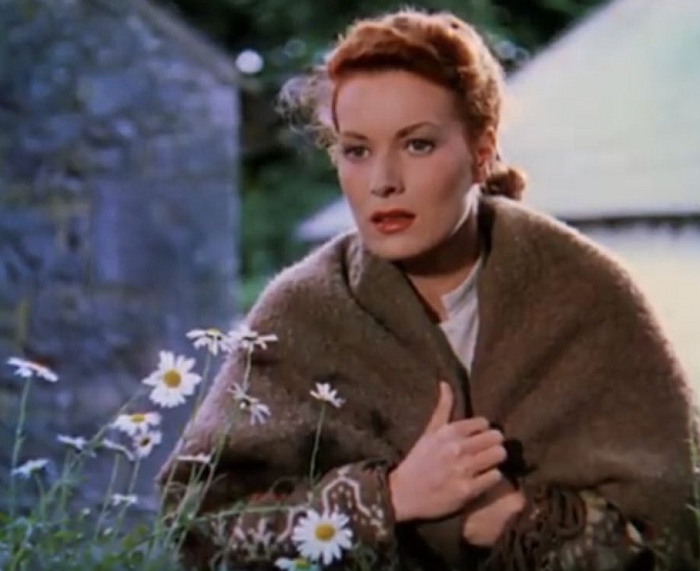 It’s breathtakingly lovely to be able to access classic movies on your laptop, iPad, iPhone, or desktop – and when you’re in the middle of one, it’ll keep your place. I instantly collect all the movies my personal favorites ever made, simply because it’s the right thing to do, and never let it be said I don’t do the right thing, even if it means spending a fortune on dvds – however, I love to actually watch most movies to see if I want to add them to my collection or not. I’m currently watching a wonderful Lee Remick movie from 1961, Sanctuary. She’s giving an Academy Award level performance in this movie. I’m sure I’ll be writing a raving review about it and her soon here on the blog. In the meantime…. do check out The Haunted Castle. It is VERY much worth watching and this is the time of year to watch all the scary movies you can… even those that just think they’re scary! Find more Silent Movies (and silent movie collections) on Amazon (affiliate link). Although the weather here in Kentucky doesn’t seem to have gotten the memo, we are fast-approaching Halloween. What better time to focus a few movie reviews on delicious old horror films?! First up to bat… well… The Bat! I’m sure I’ve mentioned in my Old Hollywood movie reviews before that there are precious few classic movies I dislike. I am so completely in love with the Golden Age of Hollywood that I’m very easy to please when it comes to movies. Honestly, I’d rather re-watch the movies I don’t particularly like (Frankenstein, Bride of Frankenstein, The Prince and the Showgirl, Mogambo) than to watch anything from Hollywood since 1980. So, there will inevitably be movies now and then that I like or even love that others (possibly even you) may feel lukewarm about or even hate with a vengeance. The movie I want to rave about today might just be the poster child for such a situation. In fact, I’m not sure I’ve ever read anyone liking The Bat as much as I do. The Bat was made in 1959, so you have to be understanding when it comes to special effects. Of course, those of us who pretty much live for our next old movie understand that. The movie stars the always perfect Vincent Price and one of my favorite actresses, Agnes Moorehead. The wonderful cast is round out by Lenita Lane, Gavin Gordon, BEAUTIFUL Elaine Edwards (all caps… yes, deserving), John Sutton, and Darla Hood. Yes! That Darla Hood, from The Little Rascals. You’ll know her the minute she walks in the room – same face, same hair. It’s as though little Darla was simply stretched out and gussied up. Her role isn’t a large one, but she’s memorable. Plot: A crazy killer known as “The Bat” is on the loose in a mansion (“The Oaks”) filled with people. 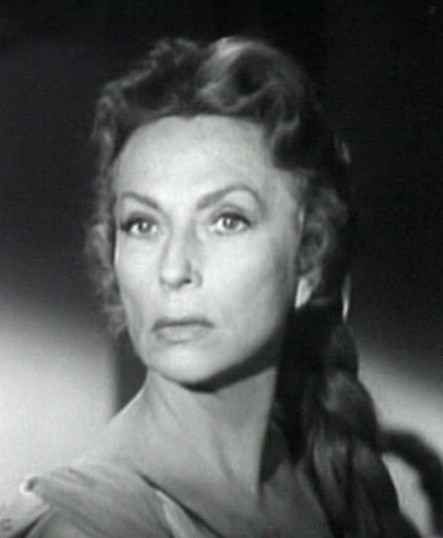 Agnes Moorehead plays mystery writer Cornelia Van Gorder who has rented The Oaks, along with her secretary/friend Lizzie (played by Lenita Lane… quite the scene-stealer). Agnes Moorehead, Vincent Price, and Lenita Lane are outstanding in this movie. Somehow it just seems Mr. Price was born for this type of film, doesn’t it!? Ironically, in an interview on Sinister Image in 1987, Vincent Price revealed that the stage version of “The Bat” had absolutely terrified him when he was a child. Apparently this is why he accepted the role in this film because he thought the filmmakers “would revive it and bring it up to date.” Sadly, he was disappointed with the final result because he didn’t believe it was a good script. Could the script have been better? Well, yes. But that simply points out how wonderful the cast and director were to take an “okay” script and make a very entertaining film out of it. The Bat would be the last film for both Lenita Lane and Darla Hood. 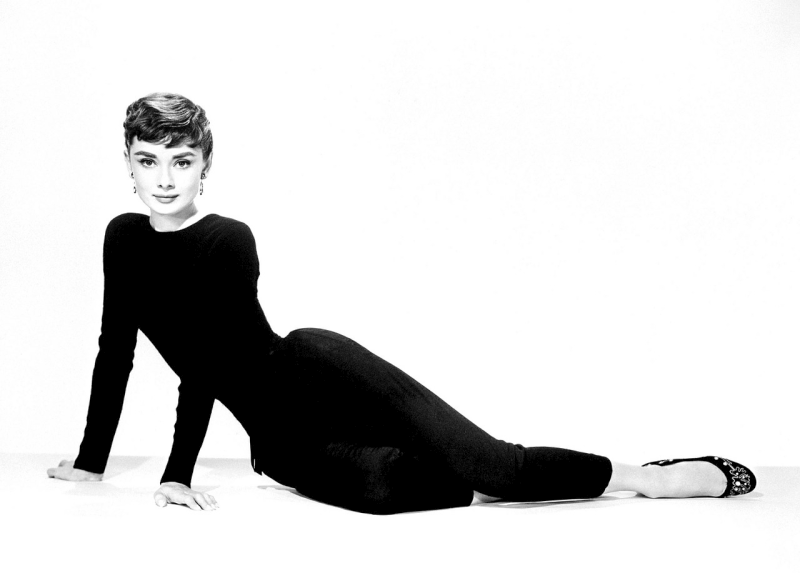 Each actress would go on to live out their life outside of movies rather than in them. The Bat isn’t, in my opinion, a very frightening film, but it IS very enjoyable and entertaining and absolutely perfect for this time of year! 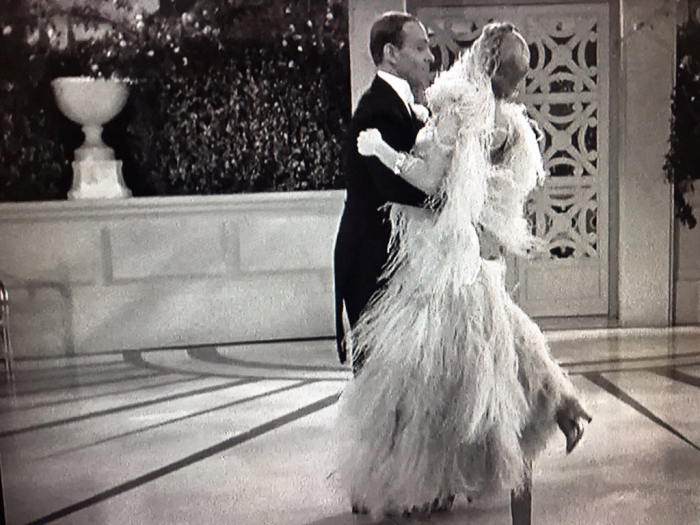 Review: Grand Hotel with Greta Garbo, John Barrymore, Lionel Barrymore… and Joan Crawford! Before I go any further, I want to completely own up to having off-beat and fairly unique tastes when it comes to “Old Hollywood,” “The Golden Age of Hollywood,” “Classic Movies…” or whatever phrase best fits your fancy. The stars I often adore most are often the ones others overlook. By the same token, many legendary favorites not only don’t float my boat, they don’t even get it in the lake! I hope you never take anything I say personally if you’re a fan of any of these legends – after all, they’re legends, after all, and that means that you are undoubtedly right and I am as wrong as can be. But I can live with it if you can. 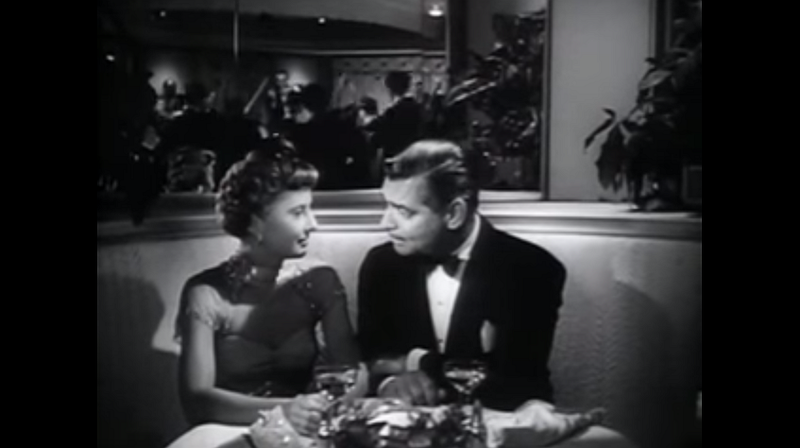 I am a huge fan of the movie “Grand Hotel,” but it’s (undoubtedly) not for the reason you’d imagine… In fact it’s IN SPITE of the reason you’d imagine. Okay, you guessed it. I’m not the biggest Greta Garbo fan on the planet. There are times, on screen, when she is brilliant. 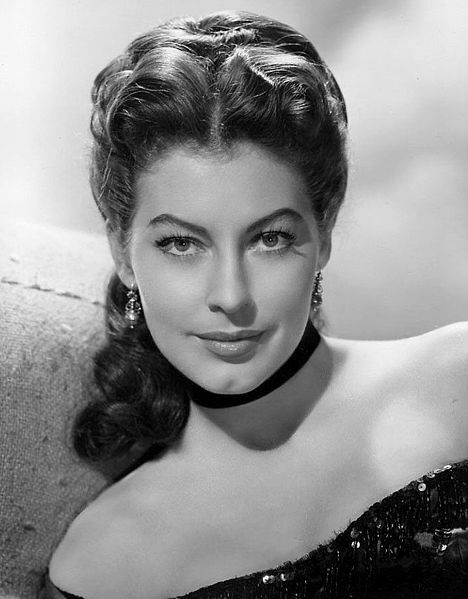 She was certainly an incredibly fascinating woman in real life – and, undeniably beautiful. The grace, the confidence, the voice… stunning. I personally simply don’t embrace her acting style. Embrace? Heck I don’t even hold its hand. If, by now, you aren’t convinced that my tastes march to the beat of an odd drummer, I also put Laurence Olivier in that category. Yes. 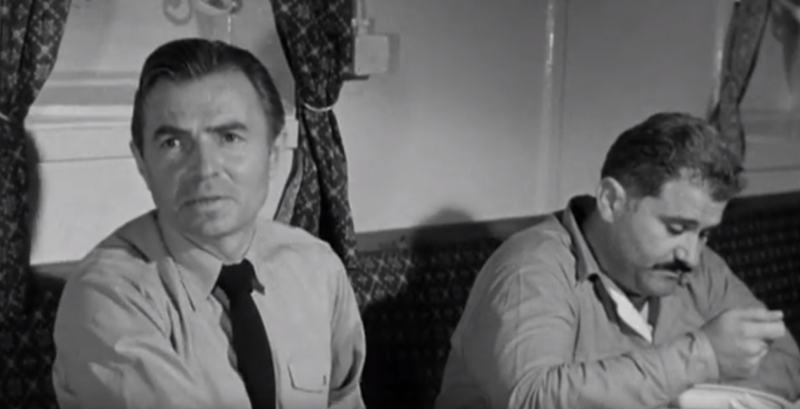 That Laurence Olivier. Like Garbo, I have not seen all of Olivier’s movies, so I’m basing this on a sample size I personally possess. If I were to see more of their films, it’s possible that my opinion of each would evolve, but as it is… I’d rather watch an rerun of The Brady Bunch (your pick) than either of these stars at work. Apologies… plural. They’re really racking up now. So, how does someone who is not a Garbo fan come to love Grand Hotel? Two words… Joan Crawford. As is the case with all of her roles, I think she is simply mesmerizing in this movie. It’s one of her earlier films, yet the star quality is still there. So much so, in fact, that she upstages much (at the time) bigger names. She plays a stenographess, Flaemmchen, and it’s impossible to remove your attention from her grip whenever she’s on the screen. The Plot: A gorgeous, luxurious hotel in Berlin is the setting for this star-studded, fast-paced film. 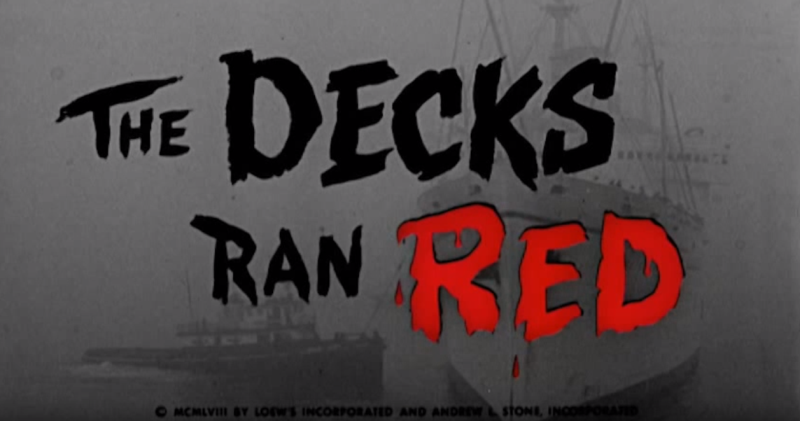 I’d imagine it was the inspiration for television series such as Love Boat and Hotel, as well as many films since. The movie takes place over the course of 24 hours as life plays out for the colorful characters – each of which will never be the same after the day they’ve had! John Barrymore plays jewel thief Baron Felix von Geigern. 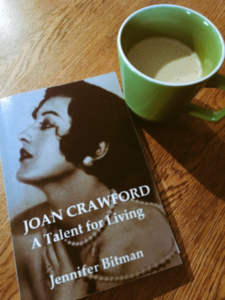 He finds himself attracted to both a prima ballerina Grusinskaya (Greta Garbo) and the beautiful Flaemmchen (Joan Crawford). 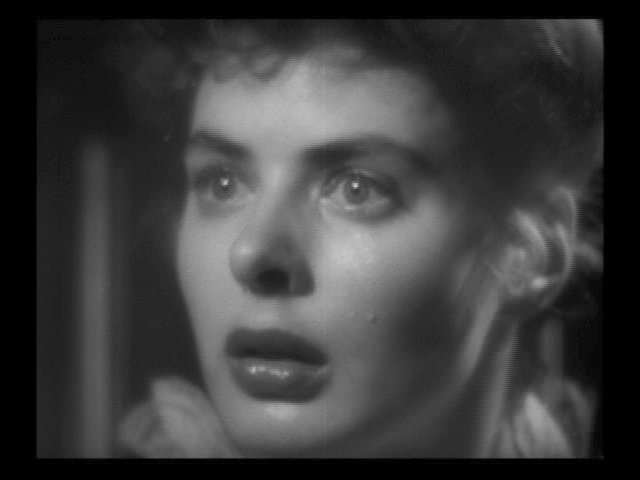 Have I mentioned how mesmerizing Crawford is in Grand Hotel? Grand Hotel won Oscar for Best Picture. 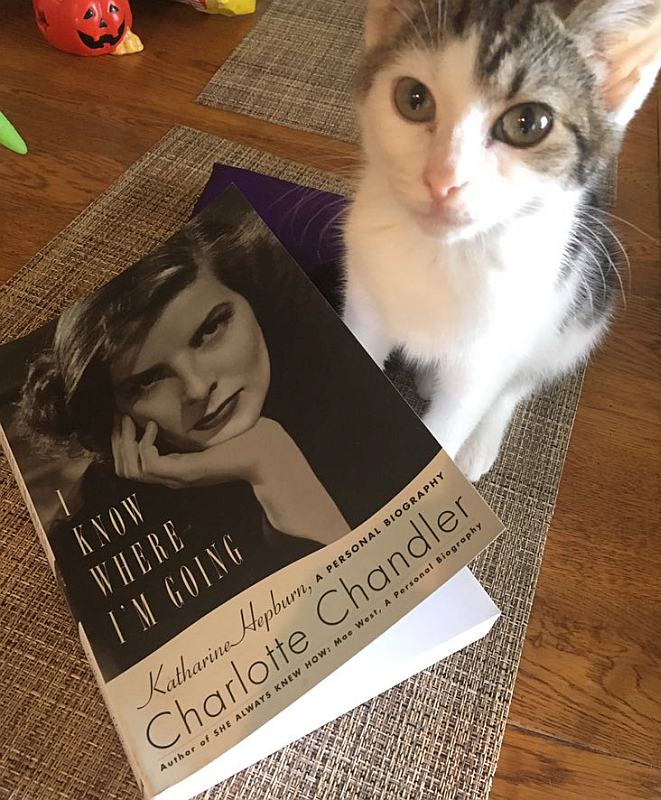 Garbo purrs her now famous line, “I want to be alone.” in this film. John Barrymore was so excited about appearing in this film with Greta Garbo that he accepted a three picture deal with MGM. Oscar winner Wallace Beery stormed out of rehearsals at one point, saying he would only come back “when Joan Crawford learns to act”. You’ll notice I’ve all but left him out of my review. So there. Joan Crawford was actually nervous about accepting the role of Flaemmchen. She was afraid of backlash because of the overtly sexiness of her character. Though director Edmund Goulding and producer Irving Thalberg assured her that everything would be tastefully done and that her misgivings weren’t founded, her instinct was (in the end) warranted. 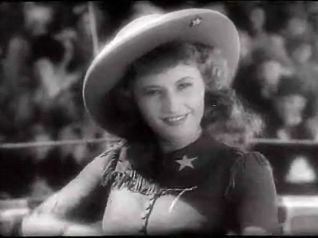 Many conservative censor boards cut the majority of her scenes for indecency. Greta Garbo was nervous about playing a prima ballerina – she was afraid she wasn’t young enough for the role. John Barrymore (Felix von Geigern) and Lionel Barrymore (Otto Kringelein) were, of course, brothers. Lionel was the older brother. Lionel Barrymore would become most famous for his role as Mr. Potter in It’s a Wonderful Life (1946). It was actually Barrymore who convinced James Stewart to take the role of George Bailey. 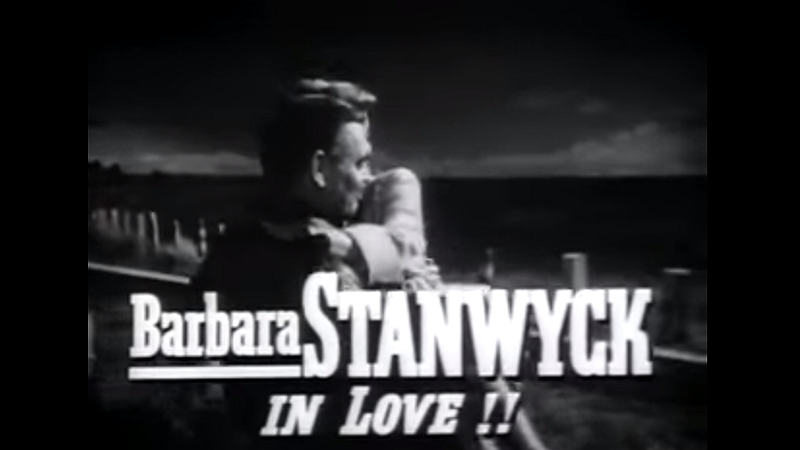 Apparently Stewart felt that he was not up to the role so soon after World War II. 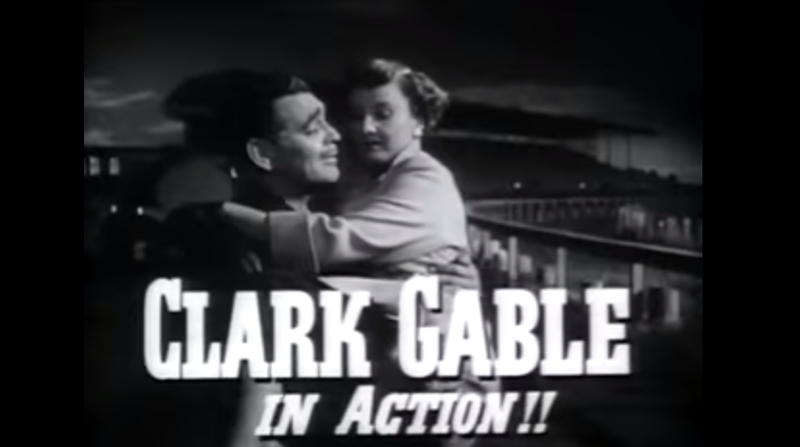 Thank goodness Barrymore convinced him – I cannot imagine the movie OR Stewart’s career without him bringing George Bailey to life. Garbo was also unhappy about appearing in a film with so many additional stars. 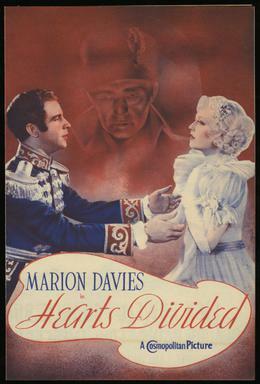 Producer Irving Thalberg was able to set her diva mind at ease when he told her she would be billed her by her last name only in the credits. This was a huge honor which was reserved for only largest stars. Though rumors circulated that Joan Crawford was irked by Greta Garbo’s top billing, this is completely false. In 1932 (when the movie was released), Garbo was by far the more established and famous star. Joan Crawford would have certainly been aware of this. 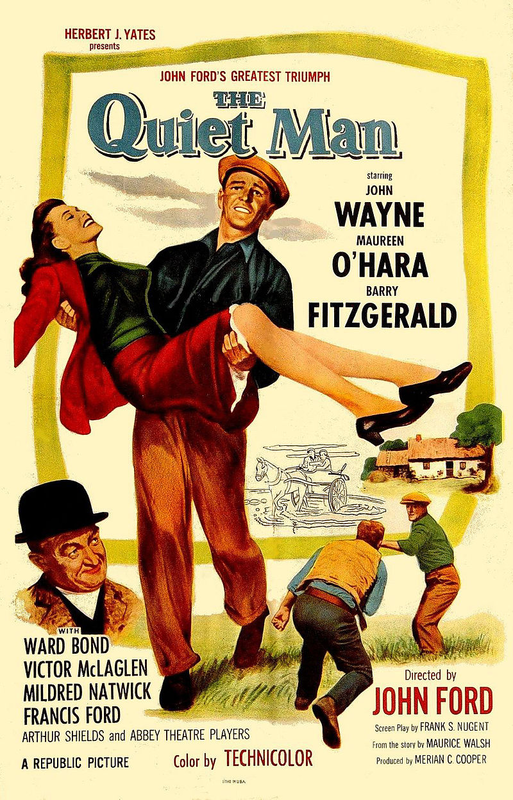 I don’t want to give away anything in regard to the various storylines or the characters, so I will simply say that if you love old movies, you have to see this legendary film. If you’re a huge Greta Garbo fan (my apologies to you for my sentiments, if you are, and I promise to see more of her films! ), this is as MUST SEE a movie as you’ll ever encounter. 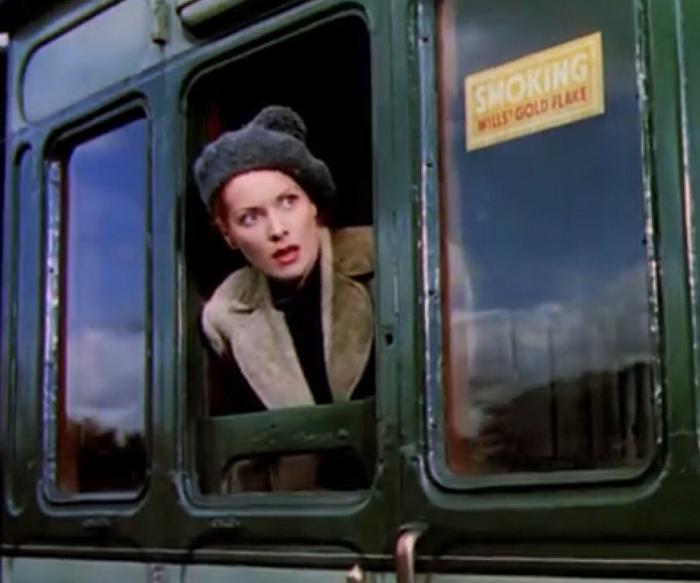 She’s full steam Garbo, here, and you’ll devour every second. Joan Crawford fan? See. The. Movie. Buy. The. Movie. You’ll revel in our girl’s playfulness and sexiness. I may apologize for my lack of love for some stars, but I certainly don’t apologize for this opinion – Joan Crawford and Lionel Barrymore make this movie the masterpiece it is. Baron Felix von Geigern (John Barrymore): Oh, you’re a little stenographess? Flaemmchen (Crawford): Yes, I’m a little stenographess. 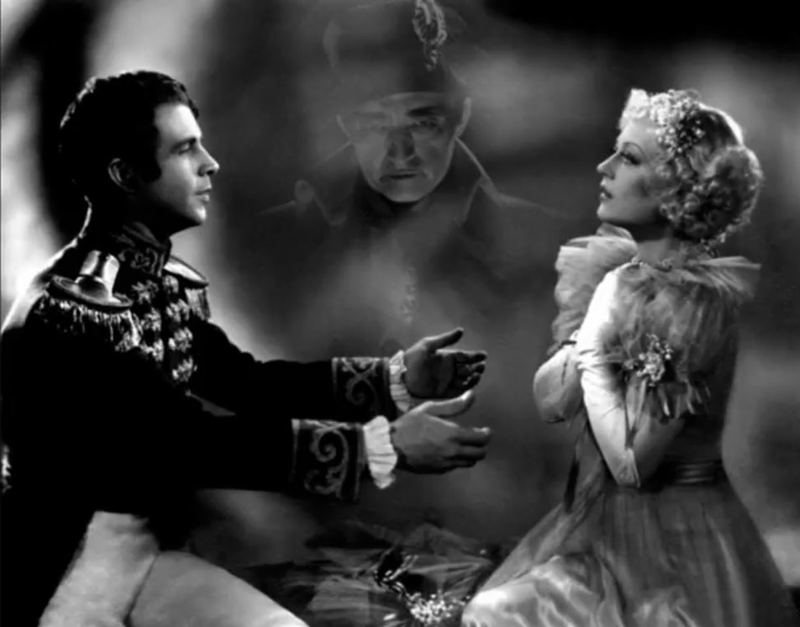 Baron Felix von Geigern (John Barrymore): Fascinating. I don’t suppose you’d, uh, take some dictation from me sometime, would you? Side Note: Watching the Barrymore brothers again in Grand Hotel caused me to read more about their fascinating family. When you get a chance, Google John’s beautiful daughter Diana Barrymore. Drew Barrymore’s resemblance to her is striking!